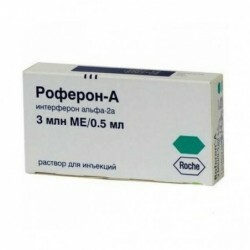 Immunostimulating drug with antiviral action. It is a complex containing inosine and a salt of 4-acetamido-benzoic acid with N, N-dimethylamino-2-propanol in a molar ratio of 1: 3. The effectiveness of the complex is determined by the presence of inosine, the second component increases its availability for lymphocytes. 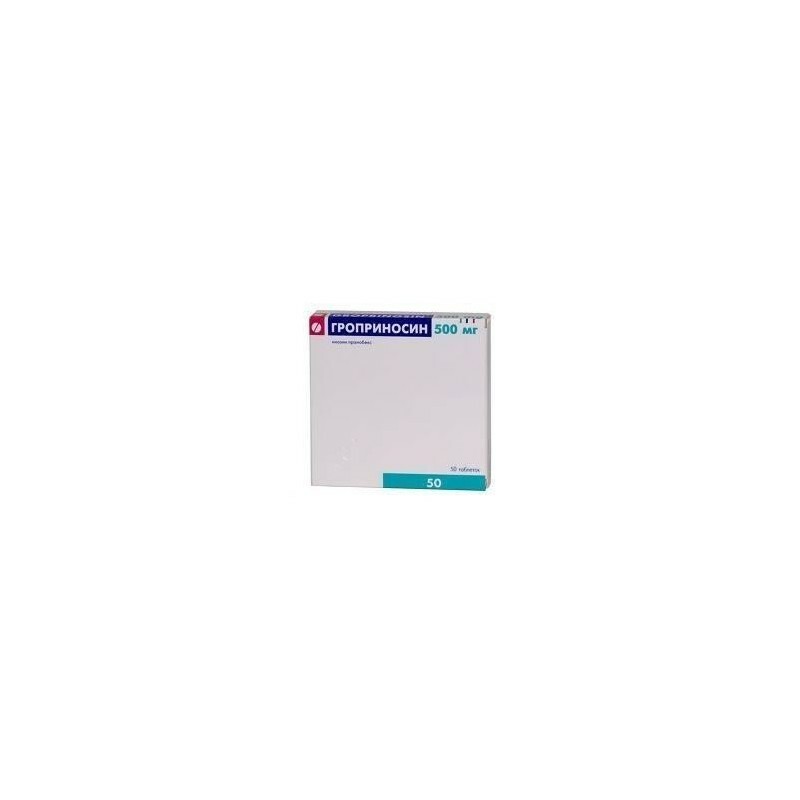 Groprinosin blocks the reproduction of viral particles by damaging the genetic apparatus, stimulates the activity of macrophages, the proliferation of lymphocytes and the formation of cytokines. Reduces the clinical manifestations of viral diseases, accelerates recovery, increases the body's resistance. When Groprinosin is prescribed as an adjunct drug in case of infection of the mucous membranes and skin caused by the Herpes simplex virus, healing of the affected surface is more rapid than in the traditional way. Less frequently, new vesicles, edema, erosion, and relapse of the disease occur. With timely use of the drug reduces the incidence of viral infections, reduces the duration and severity of the disease. Excipients: potato starch - 85 mg, polyvinylpyrrolidone K25 - 45 mg, magnesium stearate - 10 mg. The drug is taken orally after a meal, at regular intervals (8 or 6 hours) 3-4 times / day. pills are taken with a small amount of water. Adults are prescribed from 6 to 8 pills / day in 3-4 doses. Children aged 3 to 12 years prescribed at a dose of 50 mg / kg / day, divided into 3-4 doses. In both adults and children, in severe infectious diseases, the dose can be individually increased to 100 mg / kg body weight / day, divided into 4-6 doses. The maximum daily dose in adults is 3-4 g, the maximum daily dose in children is 50 mg / kg. 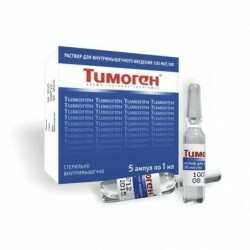 In acute diseases, treatment usually lasts from 5 to 14 days. After the symptoms disappear, treatment should be continued for 1-2 days or more, depending on the indication. In chronic recurrent diseases, treatment in adults and children is conducted in courses of 5-10 days with intervals of 8 days. The duration of maintenance treatment can be up to 30 days, while the dose can be reduced to 0.5-1 g / day. Treatment of infections caused by the herpes virus in adults and children: you should spend several courses, lasting 5-10 days before the symptoms disappear. 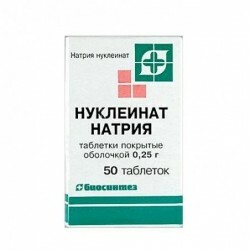 To reduce the number of relapses, it is recommended to carry out maintenance treatment on 1 tab. 2 times / day for 30 days. 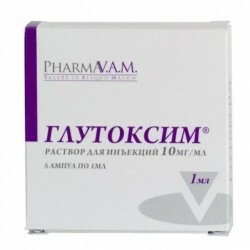 There is no need for dose adjustment in elderly patients, the drug is used in the same way as in middle-aged patients. Older patients are more likely to have an increase in serum and urine uric acid concentrations than in middle-aged patients. The drug is used in children over 3 years. 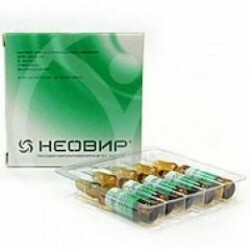 Against the background of treatment with Groprinosin in patients with liver failure, it is necessary to monitor every 2 weeks the content of uric acid in the blood serum and in the urine. Monitoring of liver enzyme activity is recommended every 4 weeks for long courses of drug treatment. Side effects are defined as frequent (> 1/100 and <1/10) and infrequent (> 1/1000 and <1/1000). On the part of the nervous system: often - headache, dizziness, fatigue, feeling unwell; infrequently - nervousness, drowsiness, sleeplessness. From the digestive tract: often - loss of appetite, nausea, vomiting, epigastric pain; infrequently - diarrhea, constipation. On the part of the hepatobiliary system: often - increased activity of liver enzymes, alkaline phosphatase. On the part of the skin and subcutaneous fat: often - itching, rash. On the part of the kidneys and urinary tract: infrequently - polyuria. Allergic reactions: infrequently - maculopapular rash, urticaria, angioedema. On the part of the musculoskeletal system: often - pain in the joints, aggravation of gout. Other: often - an increase in the concentration of nitrogen in the blood urea. Precautions should be prescribed the drug with xanthine oxidase inhibitors, diuretics, zidovudine, in acute renal failure. Immunosuppressants weaken the immunostimulating effect of Groprinosin. Groprinosin should be used with caution in patients taking both xanthine oxidase inhibitors (allopurinol) or “loopback” diuretics (furosemide, Torsemide, ethacrynic acid), because this can lead to an increase in serum uric acid concentration. 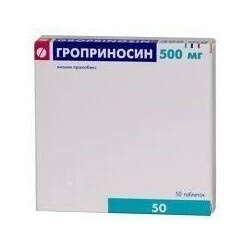 The combined use of the drug Groprinosin with zidovudine leads to an increase in the concentration of zidovudine in the blood plasma and prolongs its half-life. Thus, with the joint use of the drug Groprinosin with zidovudine, it may be necessary to adjust the dose of zidovudine. 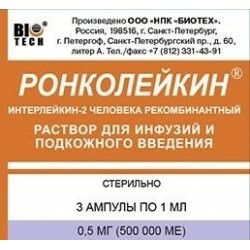 The drug is contraindicated during pregnancy and lactation (breastfeeding), because its safety in this category of patients has not been established. Groprinosin, like other antivirals, is most effective in acute viral infections if treatment is started at an early stage of the disease (preferably from the first day). Since inosine is excreted in the form of uric acid, with prolonged use, it is recommended to periodically monitor the concentration of uric acid in blood serum and urine. Patients with a significantly increased concentration of uric acid in the body can simultaneously take drugs that lower its concentration. It is necessary to monitor the concentration of uric acid in the blood serum in the appointment Groprinosin simultaneously with drugs that increase the concentration of uric acid, or drugs that violate the function of the kidneys. Groprinosin should be used with caution in patients with acute liver failure, since the drug is metabolized in the liver. The effect of Groprinosin on the psychomotor functions of the body and the ability to drive vehicles and moving mechanisms has not been studied. When using the drug should take into account the possibility of dizziness and drowsiness. In case of overdose, gastric lavage and symptomatic therapy are indicated. Dosage form: Pillswhite or almost white, oblong, biconvex, with a risk on one side.